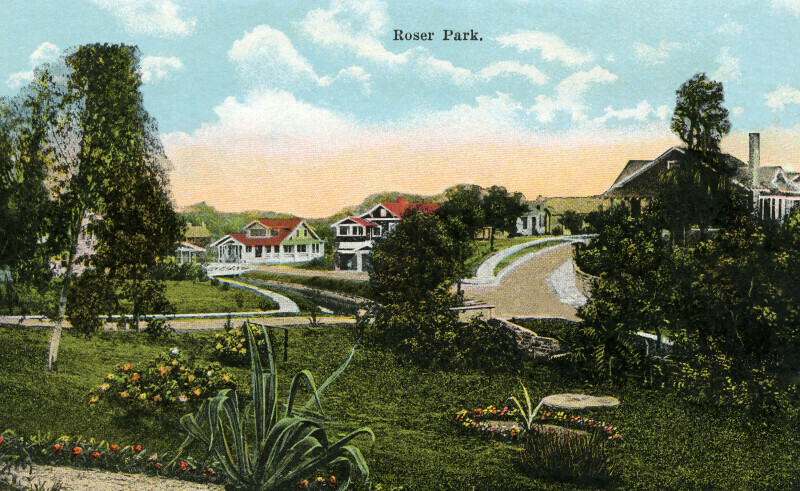 This section of Roser Park is landscaped, with thick grass, flowering plants, and deciduous trees. In the distance, some of the neighborhood houses can be seen. The roads appear to curve through the neighborhood.